- 25 Days of Christmas Blogging starts on December 1st!! - For 25 days, every thing I post on here has to have some mention of Christmas. I’m sure that there will be lot’s of clips from my favorite movie of all time! That’s right! Lot’s of clips from Elf! Lot’s of blog videos too! - Christmas is Leah’s favorite thing ever! I’m doing this for her. I’ve got to get into the Christmas spirit. - Oh yeah, one more thing…Leah is actually going to do some guest blogging soon! - Have you noticed that most stores have skipped Thanksgiving altogether? Everything’s already about Christmas! - I guess it’s brilliant on their part. It get’s everyone out spending money early. - The poor pilgrims got the shaft this year. - Great service this past weekend! “Sometimes we let culture eclipse the gospel.” Amazing point. - I’m giving my blog a facelift! Over the next few days, I will be testdriving a couple of designs. This is a new world for me. It’s much harder than I thought to work with php files. What is php anyway? - I posted three videos from UNITED LIVE this past week! Make sure you scroll down and check them out! The last one is the full message from Aaron Cavin! - Our UNITED LIVE Christmas party theme this year is “A Very Nerdy Christmas”. I won’t have to dress up. - Northway Student Ministry has been blessed with the world’s best adult leaders! Give them a round of applaus! Seriously, who cares who is around you! Okay…we need full participation here. LET ME KNOW YOUR ANSWERS, or if you’re stumped! 1. Stare at the bus below. Which direction is the bus traveling in? 2. Are the lines below parallel or not? 3. The guy on the left is angry, the lady on the right is not. Get up from your computer and step back 10-12 feet. What happens? 4. 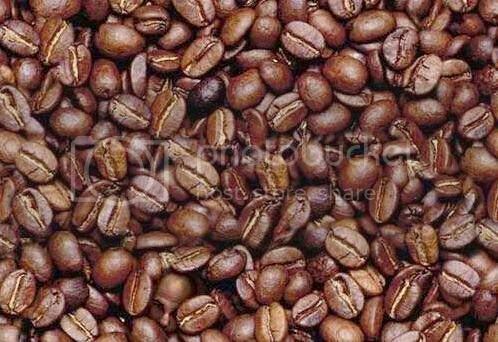 Can you find the face in the coffee beans? It’s really there!